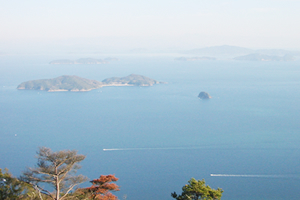 It has been a half century since we launched the food processing of small fish in the central area of Ehime. The region has become known throughout Japan for this local industry. Masunaga Shokuhin played a part in raising the industry standard to a higher level and we have contributed for our community. We are proudly producing healthy diets of the blessings of nature, keeping our traditional artisan spirits within. We always seek for better, healthier quality of products all through the process. We are very fortunate that our customers appreciate our stance and efforts, which has made us what we are today. In the new factory, we process local fish obtained in Seto Inland Sea of Japan. At the same time, we import marine products from our neighbor countries. We also consider marketing our products in other countries. As the globalization expands, more foreign people get to understand and appreciate our cultural foods. We hope to provide high quality foods for all customers without boundaries. With our slogan “We produce what does people good” and a fluid conception for thing-making, we will never fail to make right efforts.